Home Bitcoin News EOS/BTC and NEO/BTC Price Analysis: Canary in the Coal Mine? 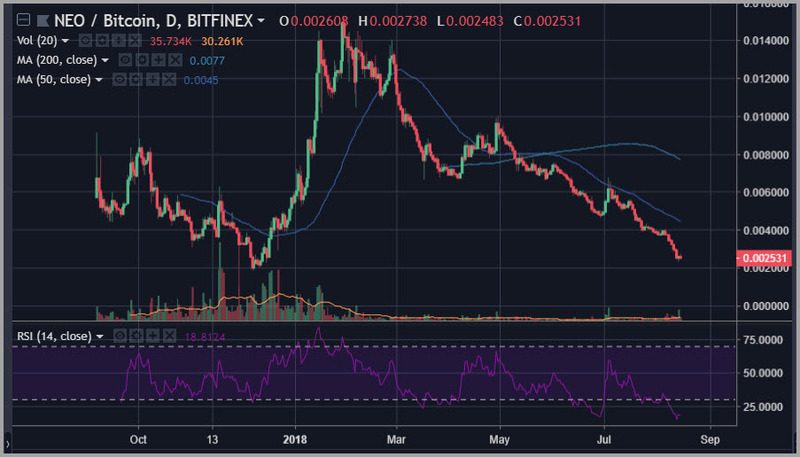 EOS/BTC and NEO/BTC Price Analysis: Canary in the Coal Mine? 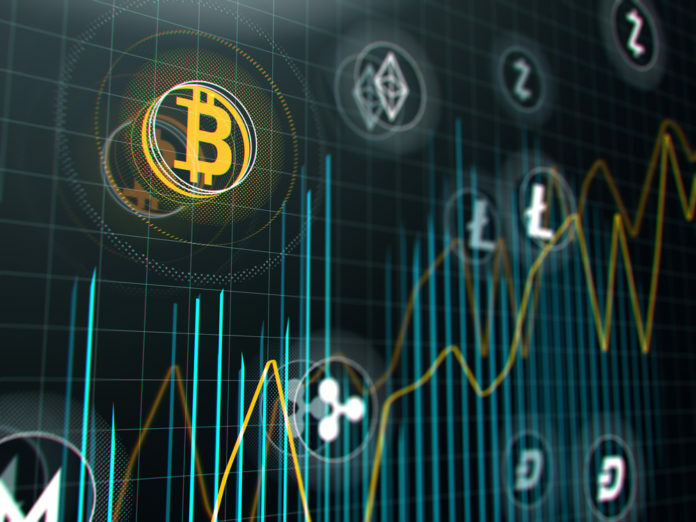 While many of the coins that we follow most closely have been mired in a bearish trend for the past month, that trend is also well exemplified by pairs denominated with the Bitcoin base. For example, as we take a look at EOS/BTC and NEO/BTC, we can see this relative weakness, which is well characterized by the concept of demoralization as non-fiat wallets suffer flight to the relative safety of Bitcoin. While this demonstrates the internal structure of a new leg of the overall bear market among cryptocurrencies, it may also represent the type of action that we may come to see as a bear market reaching old age, which suggests the possibility of a bullish inflection in the space around the next corner. The chart for the EOS/BTC pair demonstrates this shift toward demoralization quite clearly given that EOS was a clear point of relative strength in the complex up until its highs in early May. 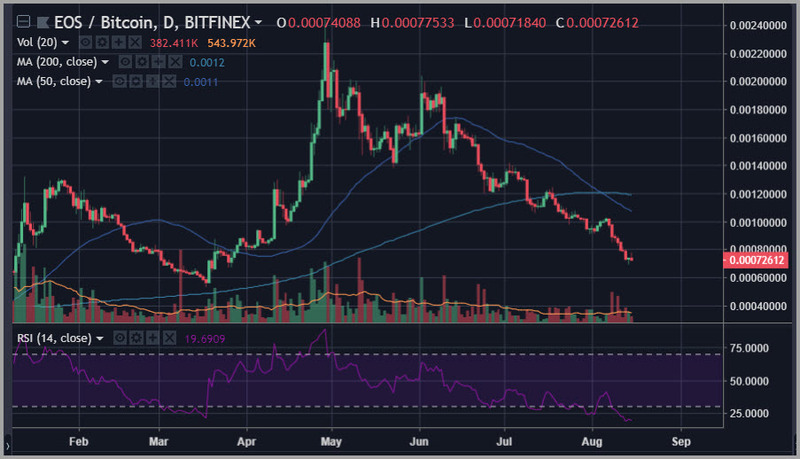 The EOS/BTC pair broke beneath both its 50-day and 200-day simple moving averages in step, with the so-called “death cross” appearing earlier this month. Both of these major moving averages are now downward sloped for this pair. That said, at this point, the chart for this pair has also recently triggered extremely oversold levels on the 14-day RSI. But a closer examination through drilling down to the hourly chart shows a possible inflection in play signaled by a bullish divergence on the hourly MACD followed by a bullish breakout in the histogram for that same indicator last night. Integrating all of these ideas, the EOS/BTC pair may be a canary in the coal mine for bears on the cryptocurrency space given the oversold levels on the daily chart, the importance of this pairing as a signal about demoralization of animal spirits, and the technical inflection possibly starting to take shape on the hourly chart. The NEO/BTC chart is one of the most directional bearish charts that we see for 2018 as a whole, with very little relief for anyone long this pair from the excitement and fervor characterizing the action in January. At this point, NEO/BTC is trading well beneath its major moving averages and trending lower in what appears to be an accelerating decline. There is chart level support that traces back to the pivot lows formed in December, which lie just below its current levels. However, with this type of acceleration often comes the prospect of capitulation and the possibility of a snapback bounce. This idea is demonstrated well by the action on the 14-day RSI, which has printed as low as 15 on the raw indicator score over the past 24 hours for NEO/BTC. The post EOS/BTC and NEO/BTC Price Analysis: Canary in the Coal Mine? appeared first on Global Coin Report.